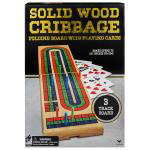 Cribbage is a fast-moving, classic card game that requires simple strategy and a little bit of devious planning. Players play and group cards in runs and try to build combinations that total 15. Cribbage has several features not found in other card games: the special board used for scoring, the crib or box, two different playing stages in each hand, and a unique scoring system. This set features a solid wood folding cribbage board with a full deck of playing cards and a 3-track board. The board opens to 14.7" and the colored pegs can be stored in a hidden compartment. It’s great for playing at home, yet portable enough to take with you while travelling. 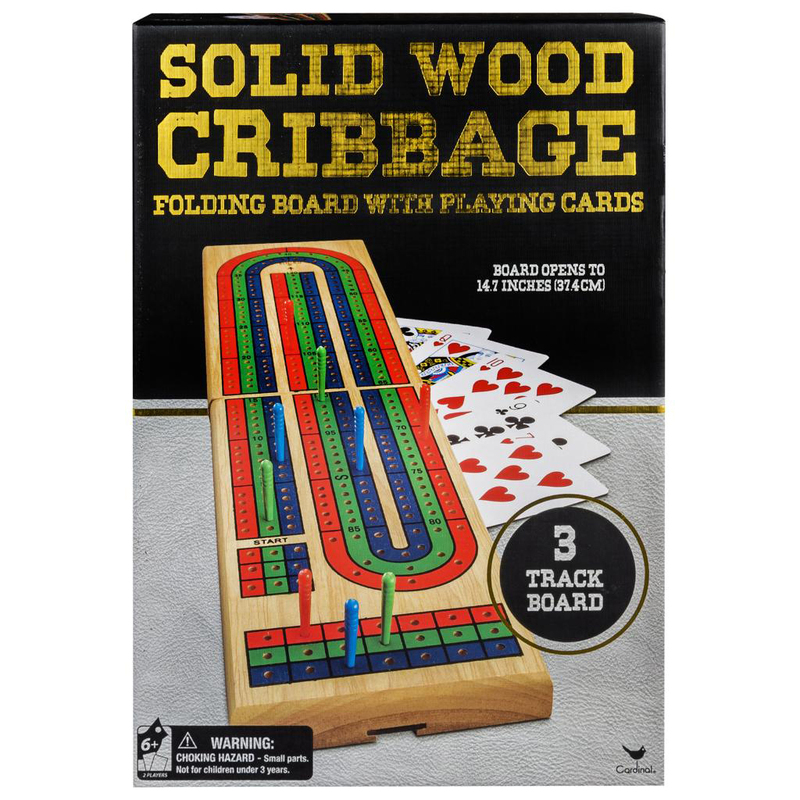 Enjoy a classic game of Cribbage with this sturdy, solid wood set!